Need some garage sale suggestions? Well Deb Rhodes of DebRhodesChathamHomes.com has you covered. When getting your home ready for sale reducing clutter and getting rid of unwanted items should be a goal. This article by Deb gets you on the road to having a successful garage sale that will help your home look better when it comes time to put it on the market. When it comes time to buy a home, getting a mortgage is a key part of the process. Having all your paperwork ready and knowing what to expect will help make the process smoother. Kyle Hiscock of RochesterRealEstateBlog.com put together this 10 FAQs about mortgages to help buyers understand the mortgage process. Anita Clark at SellingWarnerRobbins.com wrote about why an overpriced home may lead to failure. In her article she talks about the reasons why some people overprice and what can happen in the long term when you have an overpriced home. Her article is a great read for anyone gearing up to sell their home in the spring. Luke Skar of MadisonMortgageGuys.com wrote about converting a home to a rental. The reason someone may want to do that is to add an income property to their investment mix, or maybe they want to rent the home to a family member and move somewhere else. Whatever the reason, it is doable and you have options to consider for buying another home. For those planning to sell their home during 2016 getting an idea of who should sell the home is an important question that should be answered. Lynn Pineda of ImagineYourHouse.com wrote about the different methods to selling your home where she talks about the different methods to selling your home and what each entails. Knowing what is involved in the real estate sales contract is important information since when combined with a mortgage you are looking at a very long term commitment. Chris Finney of FinneyLawFirm.com wrote this excellent article on real estate contract basics. The article does a great job of boiling down the legal terms of a real estate sales contract and making it easier to understand what is involved. Karen Highland of FrederickRealEstateOnline.com looks at the issues with the Zestimates that Zillow provides to people who come to look at homes on their website. The Zestimates provided by Zillow are based on a computer program and do not take into account real differences in homes like upgrades, wear and tear, quality of materials and more. Be wary about using Zestimates to price your home or to make an offer on a home as the amount you you use could end up costing you more than it has to. Jeff Knox of KnoxRE.com put together a great comprehensive guide on how to buy a home from start to the end. If you are unfamiliar with the home buying process or need to learn about a certain part of the buying process then this is a must read article. Packed full of information and an easy to read Infographic you will get off on the right foot in the home buying process with Jeff’s article. The thought process of should one sell their home and move or renovate and stay is expertly covered by Wendy Weir of WendyWeirRelocation.com. The thought of renovating one’s home may not be that appealing due to the amount of work or costs involved. In Wendy’s article she talks about one home renovation where the renovation was done without affecting the main parts of the home until towards the end of the project thus making the whole process easier on the homeowners. Just because your credit history may not be perfect does not mean you should write off home ownership. In fact with interest rates still at historical lows, buying a home now is quite affordable and you may find that your rent payment might just be the same amount as your mortgage payment. Tim Lucas of MyMortgageInsider.com writes that a low credit score may not hurt you under new FHA guidelines. With buying a home being as affordable as it is you should seriously consider if homeownership is the thing for you. Earnest money in the home buying process is an important step to take since it shows the seriousness of an offer. Understanding what earnest money is and how it is applied to the home purchase is expertly described by Angela Duong of MadHomesUtah.com. Whether you are buying or selling knowing about earnest money is important. Ryan Fitzgerald of RaleighRealtyHomes.com takes you through some quick and easy tips to get your home ready for sale. Follow the tips Ryan presents and you put your home in better position to sell faster and take home a higher amount. For sellers when putting your home on the market it is key to disclose information that is required by law. Often times not clear what should be disclosed. Debbie Drummond of TheLasVegasLuxuryHomePro.com has an article dealing specifically with what you need to disclose and the potential risk of not disclosing. Disclosure issues can wind up in court and the issues can take their time to get fully resolved. When buying a home, it is important to make sure the home you are getting is ready to be moved into and won’t give you any surprises in the future. With that idea in mind Andrew Fortune of GreatColoradoHomes.com created a wrote a great article and included a great infographic giving you a home buyers checklist of 10 items you should look into before buying a home. 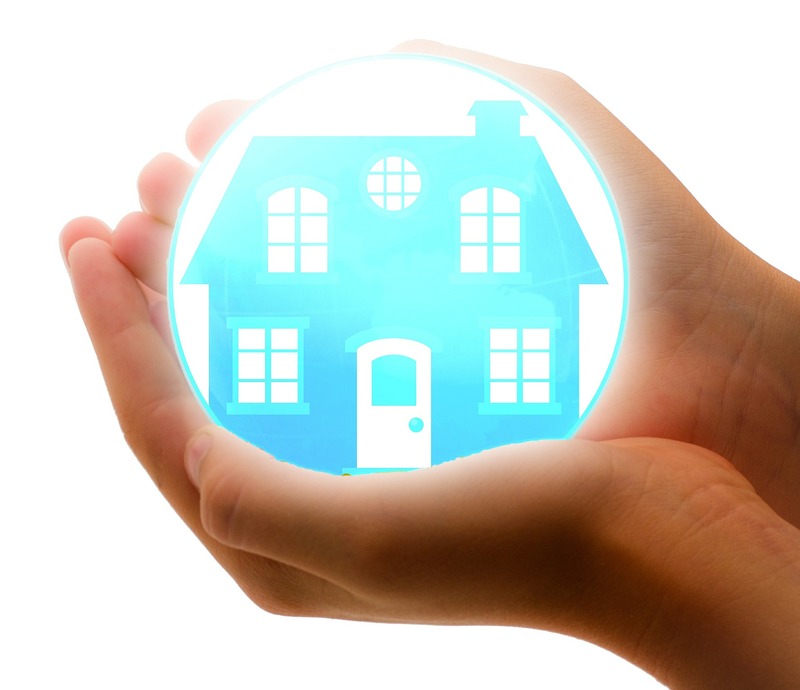 If your home expired and you are looking to reset and figure out what could be done better the next time then Tina Israelson of OrlandoTinaRealtor.com has just the blog article for you. In her blog article Tina discusses 8 areas where you may find room for improvement that should help your home sell the next time your list for sale. Looking for a list of things not to do while your home is on the market? Then take a look over at FerrisPropertyGroup.com writing about 7 deadly sins to avoid while trying to sell your home. Miss any of these steps and you may turn off potential buyers resulting in no sale. When buying a home usually everything goes smoothly and you can move into the home after closing. What happens if after the closing the seller is still in the home is not moving out? That situation becomes trickier. Teresa Cowart at TeresaCowart.com runs through the scenario of how to handle the seller who won’t leave and provides some good advice for buyers facing that situation. Interested in buying a new construction home and not sure of the process? Michael Roberts Custom Homes at RobertsCC.com explains What's Different About Buying New Construction. 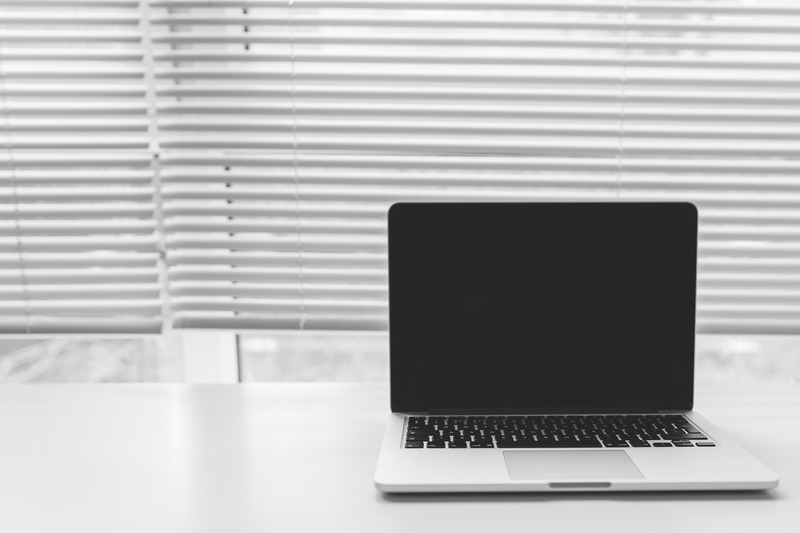 From the ability to pick the features you want, financing differences, to the warranties offered the blog article on their web site provides a great explanation of what is different and what you should be expecting. When is the best time to change/work on any flooring? When the furniture is not around. For buyers who just bought their home changing the carpet or refinishing hardwood floors as noted by Debbie Gartner of TheFlooringGirl.com should be done prior to moving in. That way none of your belongings are affected by the dust or smells that come from the refinishing process. When buying land you may want to consider the land value as an appraiser would consider it. Shannon Slater at DWSlaterCo.com in an article talks exactly about that. Taking you through the steps of determining the value of land Shannon's excellent article goes through the steps of how an appraiser looks at land value. I hope you find the articles on the list to be as informative as I do. Feel free to add your comments or add suggestions as to which other real estate articles you think were great ones in 2015. 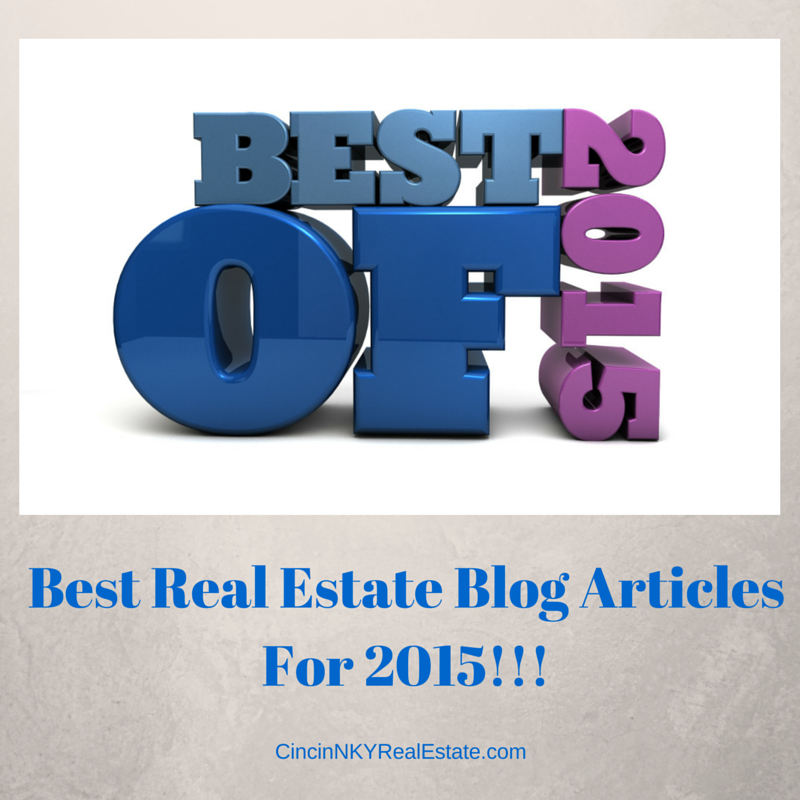 About the author: The above article “Best Real Estate Blog Articles For 2015” was provided by Paul Sian. Paul can be reached at paul@cincinkyrealestate.com or by phone at 513-560-8002. With over 10+ years experience, if you’re thinking of selling or buying, I would love to share my marketing knowledge and expertise.